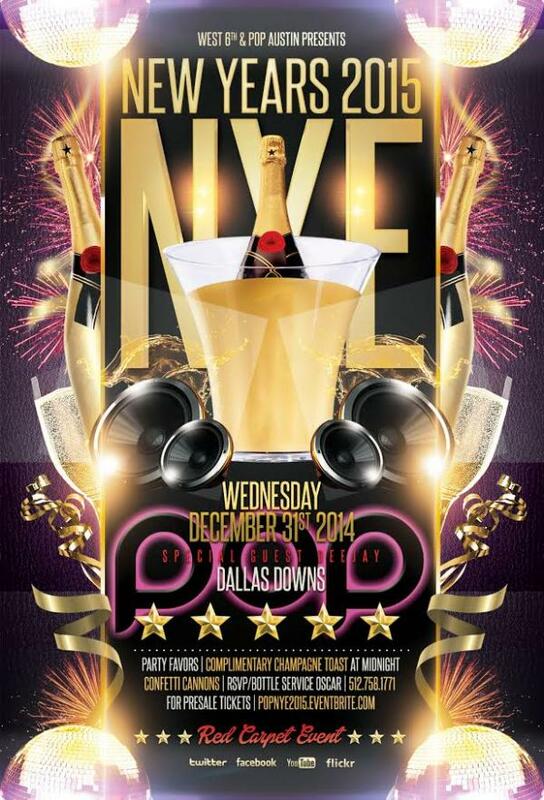 Celebrate New Years Eve at AMPED Austin, voted the 2014 Best Dance Club on 6th street. Featuring 2 parties on 2 floors with one ticket. 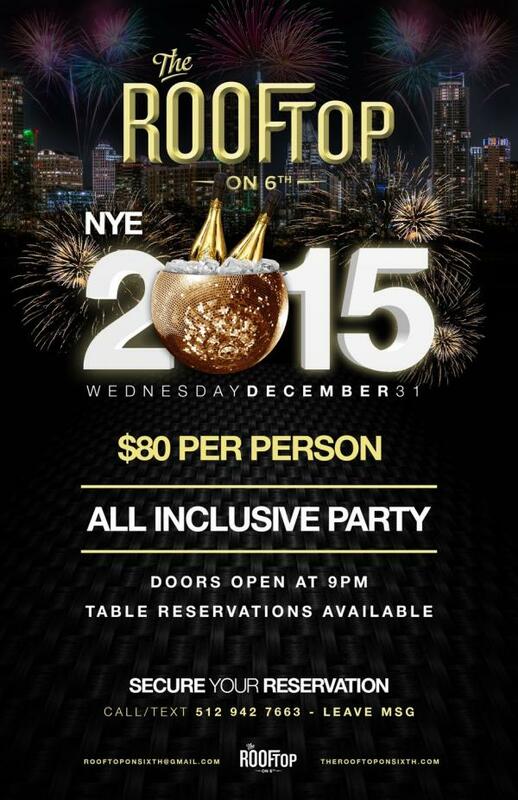 ALL INCLUSIVE New Year's Eve in Austin at Rooftop on Sixth featuring an open bar or an over the top experience with VIP Tables and Bottle Service. 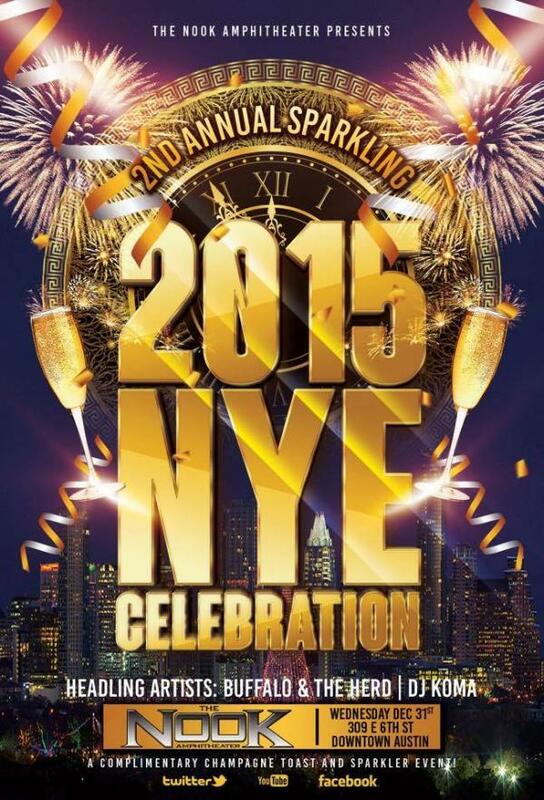 This New Year's Eve, embrace the spirit and the energy of the most captivating night of the year at the Nook!!! 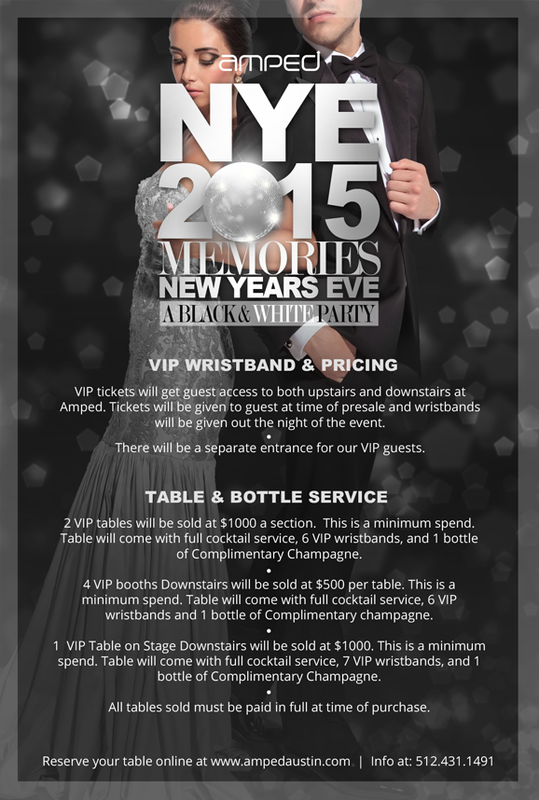 Be sure to check out our complete Guide to New Year's Eve in Austin.